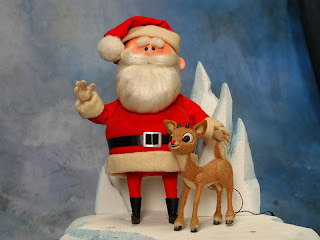 – Mrs. Claus, 1964, Rudolph the Red-nosed Reindeer. Mrs. Claus: Eat, Poppa, eat. Santa Claus: How can I eat? That silly elf song is driving me crazy. Mrs. Claus: You’re gonna disappoint the children. They expect a fat Santa. Turns out that enough politically-correct folks decided the “nobody likes a skinny santa” was offensive? Something in regards to promoting bulimia? Really?? Very weird. Comparing last year’s roster to the spring, an eye-popping 33 players have packed on 10 pounds or more. And in some cases, considerably more. Remember Tyson Pencer, the hulking giant straight outta BC? He showed up at 6-7, 230 a couple of years ago. Today? Try 6-7, 297! I know they’ve been banging pots and pans about getting these guys to belly up at the training table, several trays filled with food, but wow, thanks for participating Tyson. Other big names include Xavier Hicks from 196 to 211, Bernard Wolfgramm from 264 (that seems pretty light?) to 288 (that’s more like it! ), and even James Montgomery went from 192 to 202. Check out that link from Cougfan for more, because there are a whole list of names who are definitely larger than last year. And given where these guys were in 2008, this is very, very, VERY welcome news! Also some position changes here and there, but the big/obvious one is Andy Mattingly is officially a linebacker again! HOORAY position switches! And Andy Mattingly is right where he belongs. Let’s hope to Mr. Mattingly, 2008’s position switch is a distant memory. Get back to chasing QB’s, drilling running backs, and flattening WR’s who decide to venture into #45’s area. Most of all, MAKE THE MOST OF THAT SENIOR YEAR! He still has a chance to turn it all around! 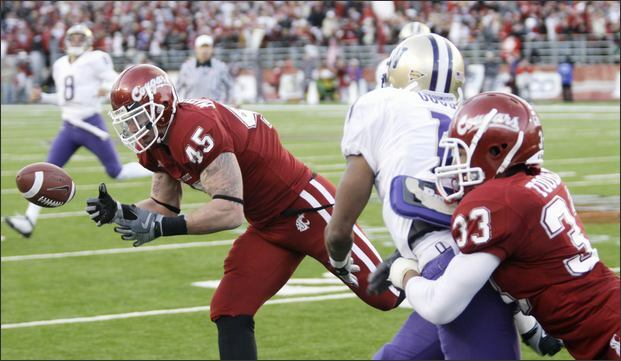 Also, the WSU Official site will post the first depth chart of 2009, sometime today. Be sure to check it out, as there are likely to be a few surprises (there always are a few?). Some other things floating around as well on the eve of spring camp…. 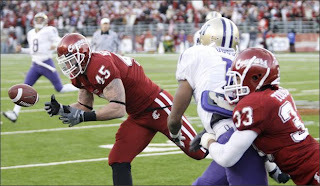 Paul Wulff will be in a chat today at WSUcougars.com. Check out the details here. I know some of you have participated in these things in the past, and to be honest, they were a little dry/boring? However this one should be pretty interesting as we are likely to get a ton of updates on various key players for the hopes of 2009. There’s a new PAC-10 commissioner, and his name is Larry Scott, former head of the Women’s Tennis Association(WTA). OK. Not much reaction here. 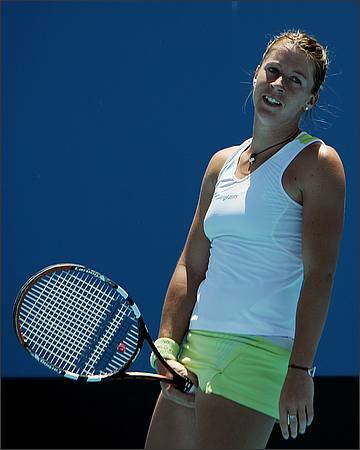 I guess he did a good job with women’s tennis. Let’s hope the PAC-10 search committee did their homework, and most of all, that he’s worlds better than Tom Hansen. Here’s to better bowls, better TV deals, better EVERYTHING with Larry Scott! Finally, Cougfan (again) has a good read on the UW stadium tax grab bonanza. Greg Witter does it again. I can’t do it justice, so please, give it a look. It’s pretty amazing what is going on there, and clearly there is concern among WSU nation that this thing might sneak through. That’s it for a busy Wednesday. ENJOY YOUR DAY, and GO COUGS! You are currently browsing the archives for the UW stadium tax category.